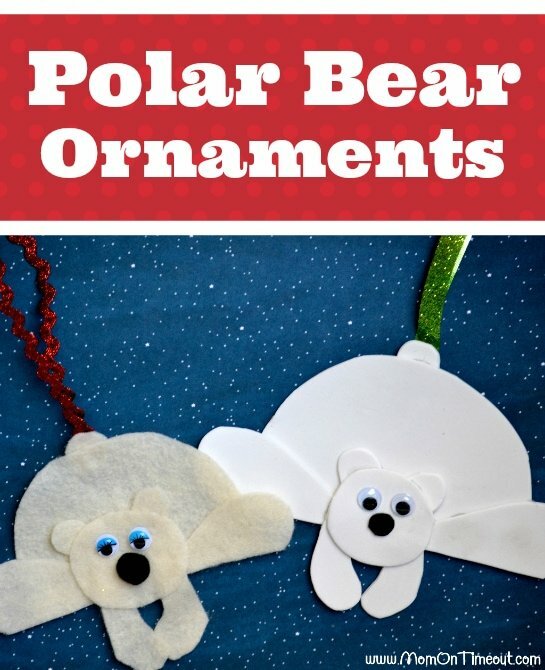 Easy to make Polar Bear Ornaments are the perfect craft for kids this holiday season! 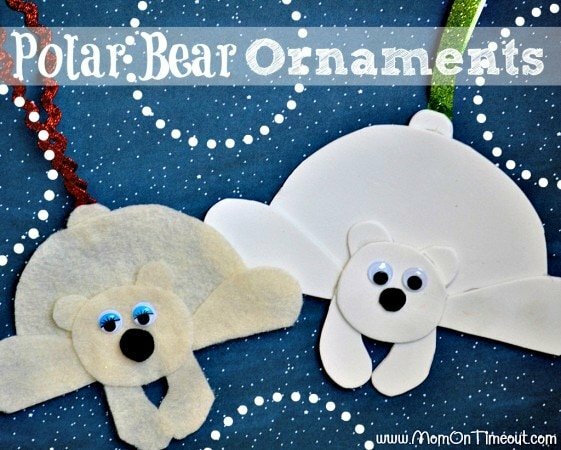 I love how easy these Polar Bear Ornaments are to make and you can use felt, foam, or even construction paper to build them. Using different colored googly eyes and noses will lend personality and uniqueness to each polar bear. Step 1. 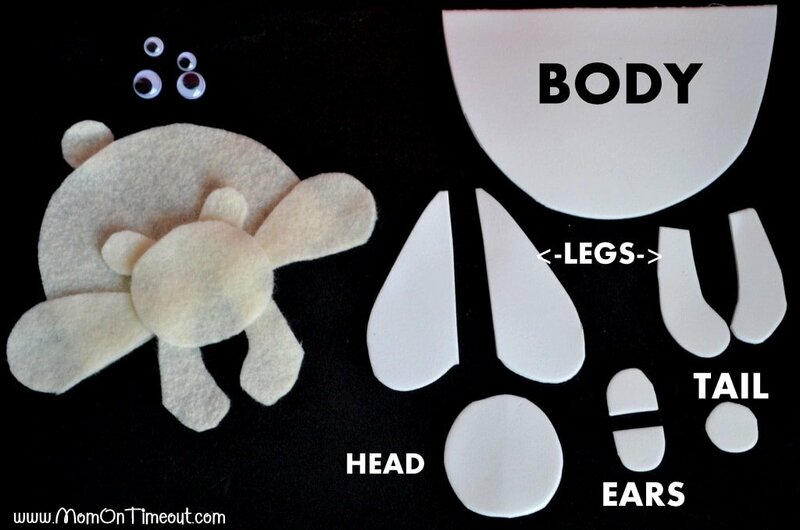 Cut out the shapes shown below for each polar bear ornament you wish to make. I’ve shown the assembly on the left. Foam is typically easier for younger children to cut. If using the felt, make sure to use sharp scissors that will cut easily. Now it’s time for assembly! Step 2. Glue the back legs and front legs to the body. Step 3. Glue the ears to the back of the head first and then glue the entire head on to the body. Step 5. Glue on the eyes and nose. Step 6. Glue a ribbon to the tail of the polar bear so he can hang from your tree! These are so cute! 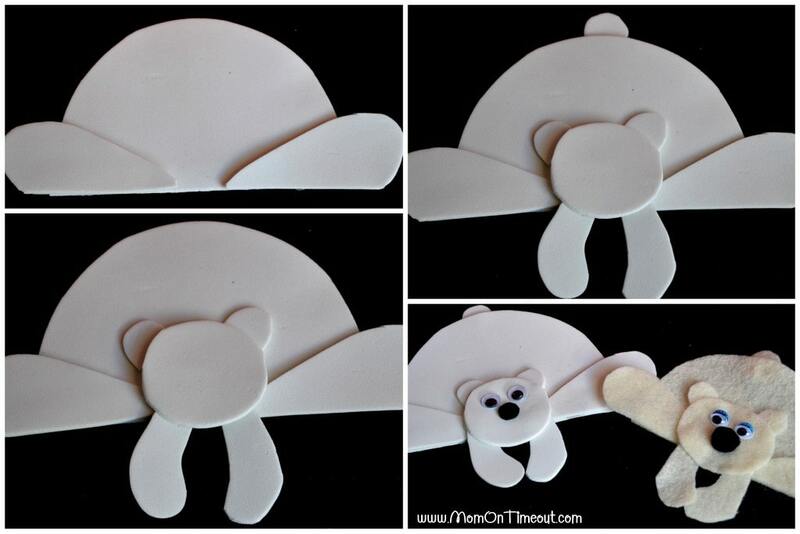 Do you have a printable template for the polar bear shapes? Yes!!! can you provide a template please. These are adorable! These are adorable! 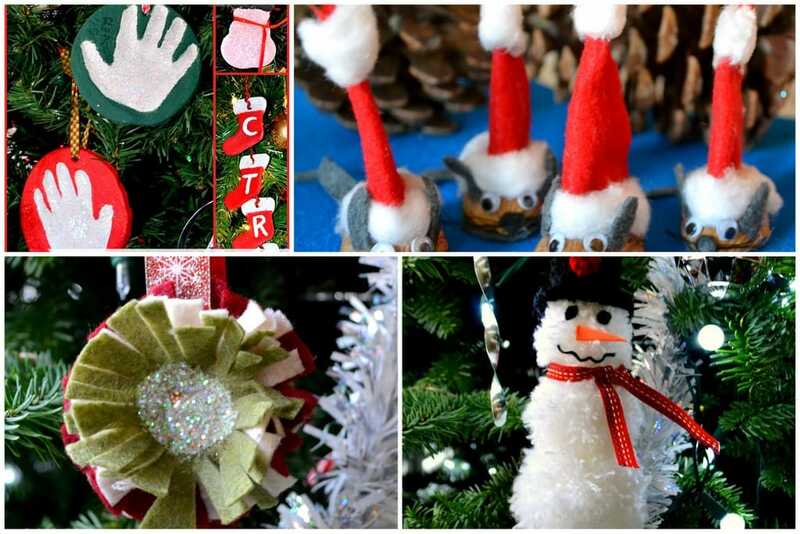 I’ve been looking for some toddler-proof ornaments to make for my son and these are great! These are so easy and they look super cute on the tree. I’m glad you’re giving them a try! These polar bears are so adorable! Love the new Christmas look! and the website is so much cleaner now. love! I saw your blog post at Hour Happy Projects, great post ! !